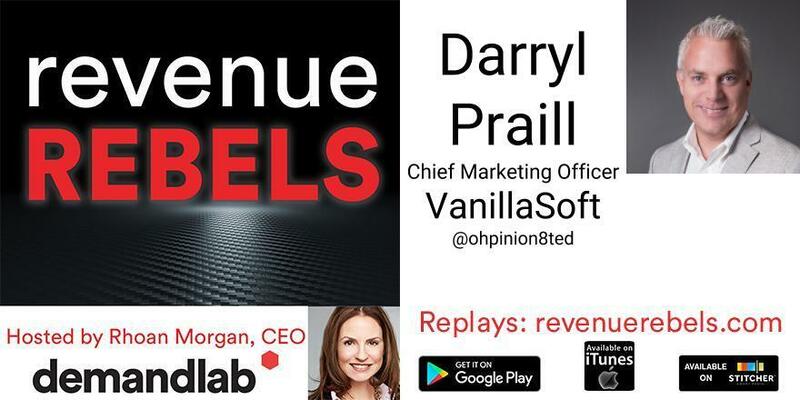 Revenue Rebels spotlights rule-breaking marketing and sales leaders who are accelerating business growth with a fanatically customer-centric approach and this month we’re excited to welcome Darryl Praill, Chief Marketing Officer at VanillaSoft back to the podcast. Did you catch last month’s episode? Well, we’re back with part 2 as Darryl details the last 2 steps in his 4-step approach to strategically growing VanillaSoft in just over a year. Darryl and host, Rhoan Morgan discuss team restructuring, business team alignment, and transformation results.